What’s Inside? What Colors? Who? Why? When? How? I know. Plenty of questions. 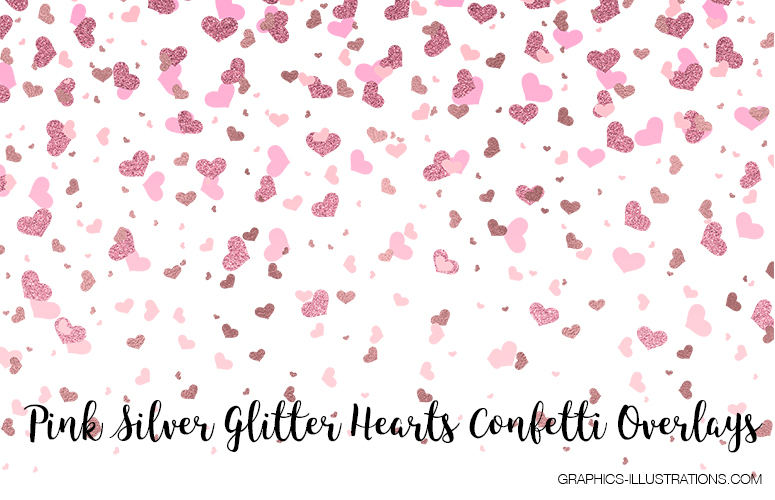 And all will be answered in this short blog post where I present my latest product, digital download, with free sample download and the full 16 PNG images pack called Hearts Confetti Overlays available at 3.75$ (Etsy price 3.99$). As you probably guessed in side are Hearts Confetti Overlays. When it comes to colors they come in pink and silver glitter. Compatibility: Compatible with Adobe Photoshop, Photoshop Elements and pretty much any decent image editing application out there that works with layers. Free download specifications: 3600x3600px (@300dpi), one of the PNGs from the pack. Now, of course, this is all nice, getting a download here and there, but if the hassle of adding to cart, filling the form, making a payment and so on, are just too much and you want a quick and instant access to this and hundreds of others of my products, then GreenBulbGang Lifetime Membership is the answer. Because, for one time payment of $57 you get lifetime unlimited access to everything on GreenBulbGang.Com web site. This is the site where I put all of my creations. Hundreds of overlays, vector graphics, transparent PNGs, backgrounds, Photoshop brushes, you name it. Way cool! Some very valid points! I value you penciling this blog post and likewise, the remainder of the site is really excellent. Thanks Celia! Not many people are visiting my blog, so each feedback I get is valuable to me. Thanks and make it a great weekend!